The Chef’s Choice 270 Knife Sharpener is the latest product of this type I tried, but I can say that it is the best. The reason why it is the best is simply the fact it is a professional sharpener, designed for heavy duty and delicate procedures, so it is much better than all other models of this type, especially those from the same price range. 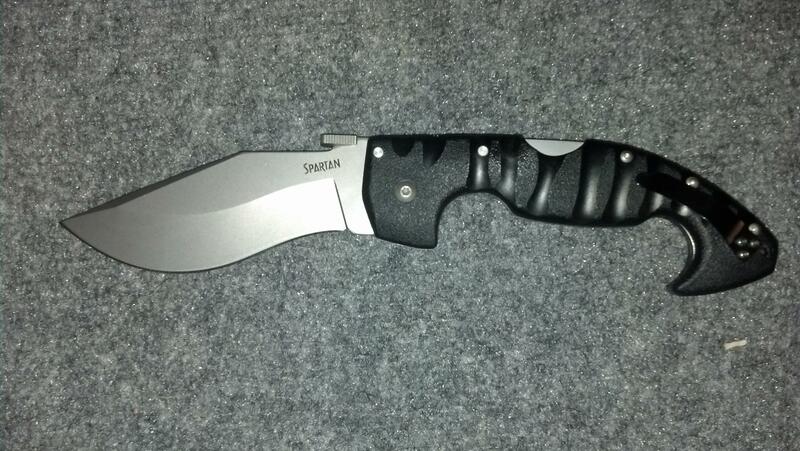 On the other side, it is more practical and can make any knife sharper than other sharpeners. In addition, it isn’t time-consuming, so sharpening is faster than ever. When it comes to sharpening, you need perfection, simply due to the fact a perfectly sharp knife will be easier to use and it can be used for more operations. On the other side you must know that using just one stage to sharpen a knife isn’t possible simply because the metal must be shaped in several levels. 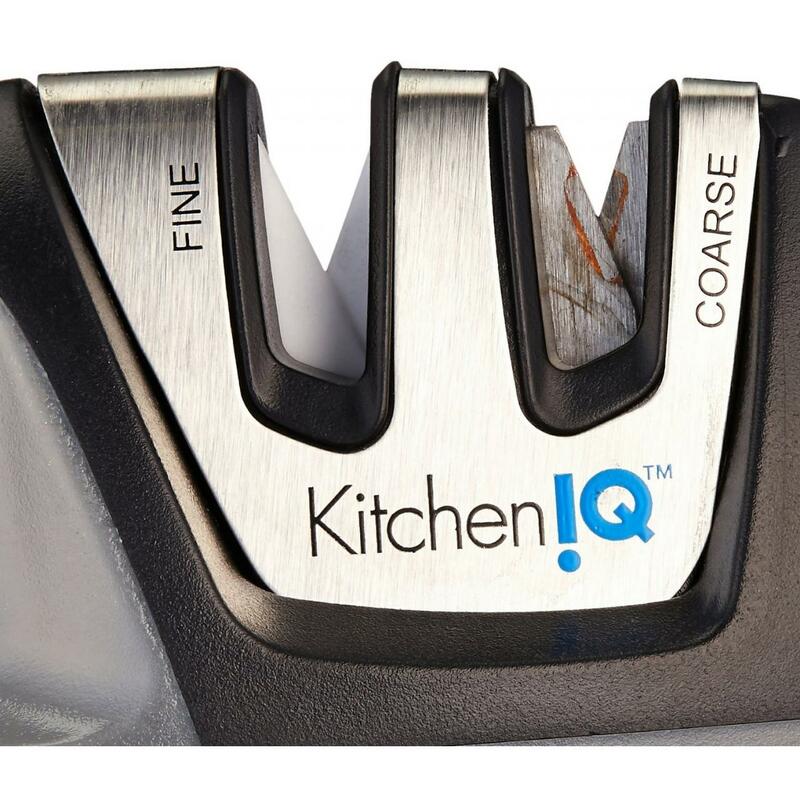 The Chef’s Choice 270 Knife Sharpener is more than just great because it offers three stages. The first two are electric and they are designed to correct damage to a knife and to make it sharp. 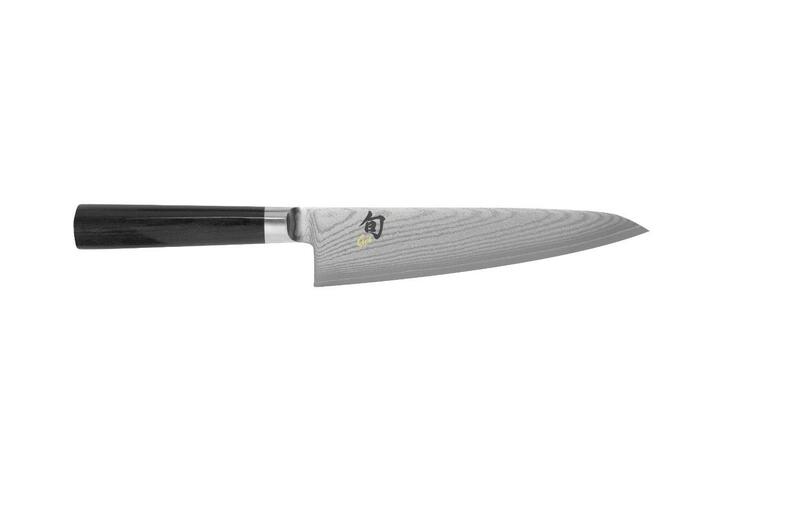 On the other side, the third stage is designed to make any blade razor sharp and it is manual, so a chef can adjust the sharpening as he wants. In addition, using all three stages will require just a few minutes, so your knife will be sharp quickly. 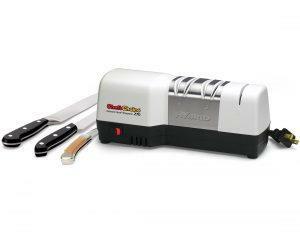 Another fact you should know is that the Chef’s Choice 270 Knife Sharpener can be used for all types of knives. 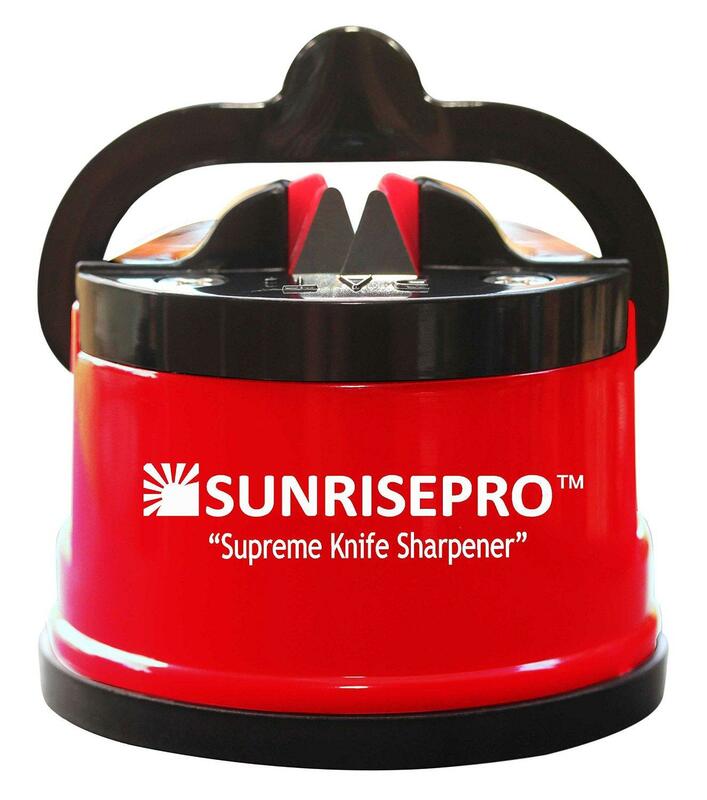 This means that you can sharp serrated and straight knives, which also maximizes the practicality of the sharpener. 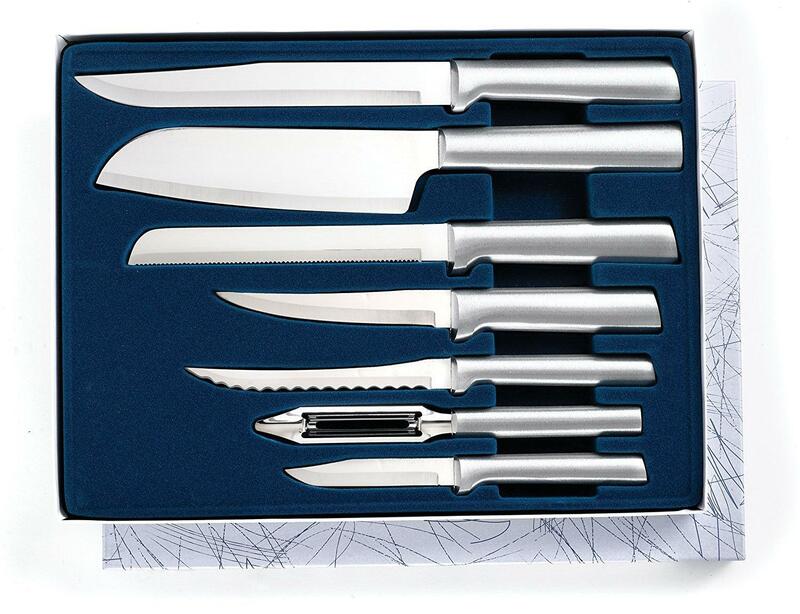 Keep in mind that any knife will be perfectly sharp and it can be compared with a brand new knife of the same type. The best fact is that this model can be used in professional kitchens, across the planet, simply because it can withstand rough use and it can be used for multiple operations. 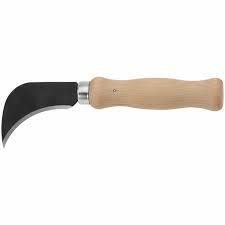 Another addition is the ability to sharp knives made from latest and more than just strong metals. Keep in mind that most sharpeners don’t have this advantage, so they cannot be used for the latest knives. This technology is the latest addition to the world of sharpeners and it may be hard to understand, but it makes this sharpener much better and uniq2ue, due to the fact it is the only model on the market that has this feature. It means that both sides of the knife will be sharpened simultaneously, which saves time and makes any knife better and sharper. In addition, this feature doesn’t make the Chef’s Choice 270 Knife Sharpener more complicated to use. 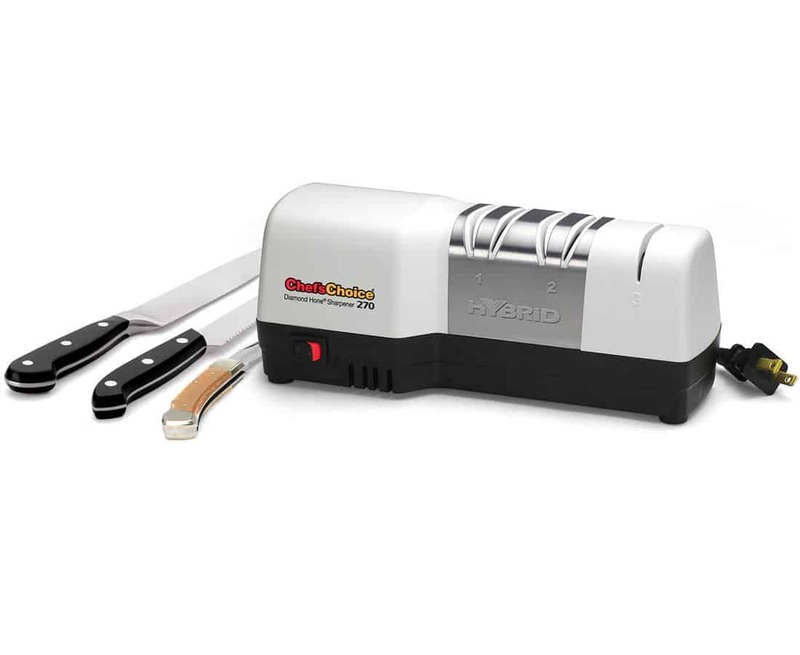 The best fact about the Chef’s Choice 270 Knife Sharpener is the three stage sharpening which makes any type of knife perfectly sharp. It has 4. 6 out of 5 star rating. 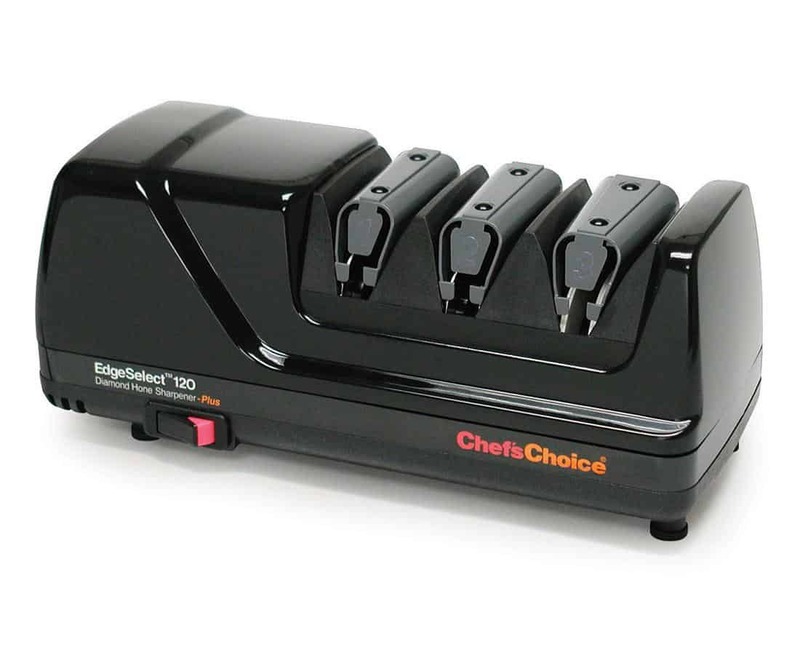 The situation is very simple with the Chef’s Choice 270 Knife Sharpener, due to the fact this is a professional product that can be used for all applications. 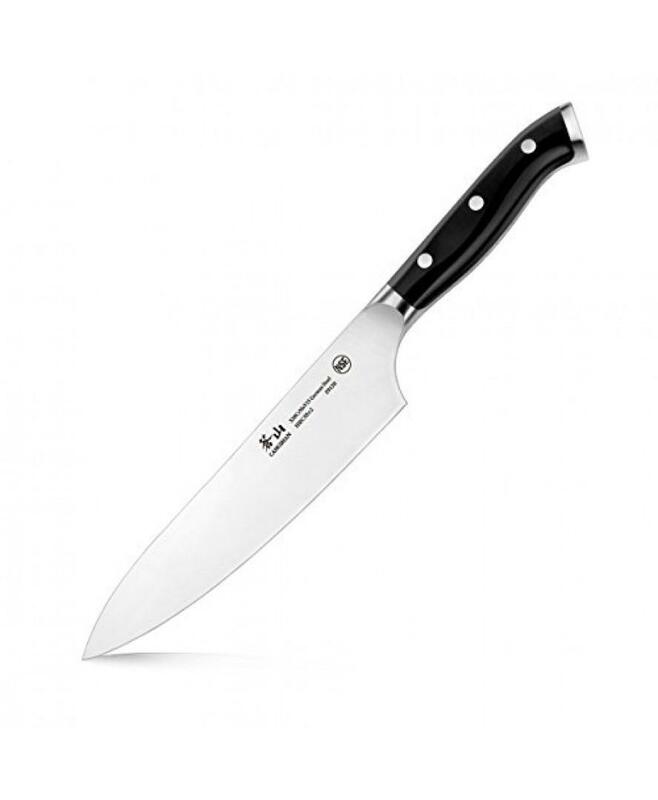 It is practical, based on the latest technology and it can be used for all types of knives. At the same time, it is more than affordable, which makes it a wise investment and a safe choice.